UPDATE: The server version will be Minecraft 1.13.1 so that WorldEdit will still work. Unfortunately, WorldEdit is not compatible with 1.13.2 yet, so we will have to stay on the earlier version until then. 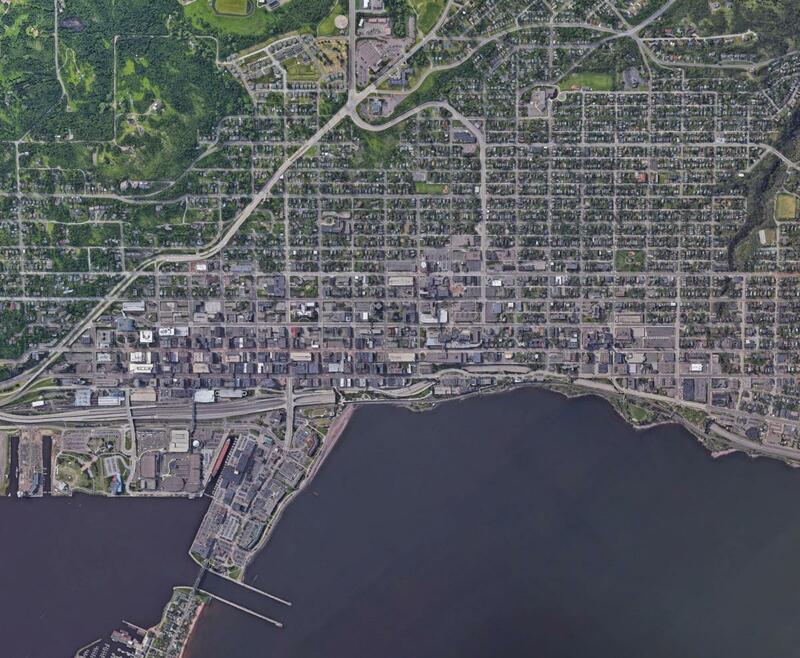 I'm proud to announce our newest map: Duluth, Minnesota! This map aims to change up our previous style of regionally based, fictional cities, and instead takes a slice out of a real city in the United States. 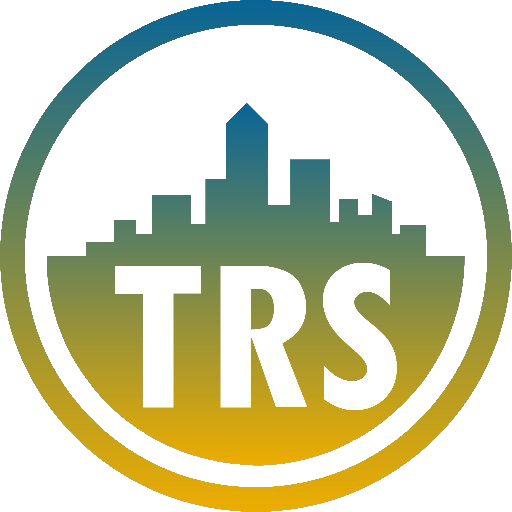 The map still follows the classic TRS 1.5:1 scale, and is centered around downtown Duluth. It is intentionally left small - only 5k x 4k blocks in dimensions, as a way to keep the focus of the project clear and allow us to set a realistic goal of getting the map finished. Despite its size, I think you will all enjoy the healthy variety of building types that are on the map, and there is a little bit of something for everything. This will mean that going about building will be a little bit different from past maps. Instead of finding any building that would fit into a theme, you will be able to reference the real city on google maps, find something that you would like to build, and build it in its corresponding location in game. For the most part, the city will be bang-on with what actually exists in real life, but for other areas there can be slight exceptions to the rule if something seems particularly interesting and relevant to build (ask nammerbom before doing this!). As we move forward with the map, I think everyone will learn to get used to and enjoy this new system. With the new map comes an updated resource pack, Duluth Textures V. 1.0.0! You can download it on our downloads page here. It is mostly the same as our previous resource packs, but there are a few new blocks, and some textures have been shuffled around to make the menu easier to understand, take advantage of new blocks in game, and compensate for some lost models due to The Flattening. Some of you may be concerned about World Edit, but as far as I have seen, there are measures in place to allow you to still type old minecraft IDs for w/e commands, but that's something for a different post. You can expect to see an easy-to-read texture list coming out in the next week or so that will allow you to see which textures correspond to which blocks based on material type as well as color, so you don't have to spend time digging through the resource pack in order to find the block you're looking for. Also, make sure to download and install Optifine from their website, as it is important to have in order for the resource pack to work properly. Here is a screenshot of the rough extents of the map. You can use google maps and the server dynamic map to find buildings that you would like to build, but make sure that it is within the map's boundaries. You can reach out to me on the server discord if you have any questions about what or where to build. Also make sure to use the #duluth_building channel in our discord to ask questions or post your projects! If you haven't joined our discord yet, you can join by clicking this link. Full size image of extent map. You are all more than welcome to start working on builds for the map but, please, do not start building on an area until the roads around it have been built. While there are general road markings for places on the map, they are very rough and are not to-scale width wise. If you would like to build something but there are no roads yet, I would suggest copying the surrounding terrain into our Creative map and building there. Be aware that you may have to change the size of the building to accomodate for roads. Of course, if anyone has any questions, feel free to ask any of our staff in our discords #admin_help channel. We are more than happy to answer any questions you have about the map, its rules, or the resource pack. The new downtown area has now been zoned for building. If you would like to build in downtown, ask either Yazur or I to give you a reference, or if you have a reference of your own we can figure out a place to put it. Once you get approved to build something from a staff member, Builder+ and above can build directly on site, while Builders can copy the site into storage and build it there. To warp to downtown, use /ambwarps and select "St. James Cathedral". In order to re-render the entire dynamic map with the updated resource pack efficiently and with the least amount of trouble, the server will be whitelisted from 9pm-9am EST daily until the map is finished rendering. This may take up to 4 days total. I apologize for the inconvenience that this will give to players not in the United States or Canada, but this is only short lived and will not be a frequent thing. For those of you who do not know, dynmap likes to use a lot of server memory and has trouble dumping it when it gets to high usage. This combined with the shear size of the map we have, the amount of processing power it takes, and the idea of players having to share the server power while dynmap is rendering causes a lot of frustration with server crashing and data loss, so to minimize the headache I have decided to come to this conclusion. If there are any questions, just ask in the #admin_help discord channel. The staff team got together to have a talk and we have determined a few things. First, we have noticed that player builds, particularly in downtown, are using references less as a way to get ideas, and more as a way to just copy a building one-for-one. Second, there has been a huge mish-mash of builds going on in downtown, and it's lacking some supervision. I'll get back to the second one later. While it is fun to try and build something as close to what it looks like as possible, that isn't necessarily what we are going for here. Architects design buildings with the surroundings in mind; buildings appropriately fill the site that they sit on, and complement what is around it. We understand that, space permitting, some buildings can work if built exactly how they appear in real life, but for the most part they won't fit well in our city. When building something on our map, make sure it fits the site well and utilizes space appropriately. If you build something downtown, make sure buildings can fill the entire city block. So with that said, I'll get on to the second part. We are now putting a new rule in place where all builds for downtown must be made in the Creative world first. If your build meets the new, higher standards for downtown Ambersyell, it will be moved by staff into an appropriate location. We will be setting up a warp in Creative soon where you can put your buildings, I will update this post when it's ready. I would also like to remind everyone that Ambersyell is a new city. We aren't building New York City from 1929, so please keep the builds to a relative time scale of around 1950-present day. Also keep in mind that Ambersyell is supposed to be a North American city, so try not to build things from South America, Europe, or Asia as they all have different architectural styles. If there are any questions you can ask a staff member before you begin building something. Edit: There is now a section to put your buildings for downtown Ambersyell in /warp models, please put any buildings there.